A new report developed by Victoria University's Australian Health Policy Collaboration (AHPC) has revealed the impact of poor oral health on the wider health system. The 'oral health tracker', produced by the AHPC in collaboration with the Australian Dental Association, found there were almost 70,000 potentially preventable hospitalisations related to oral health problems in 2015-16. Almost one-third were children under the age of nine. Release of the report coincided with World Oral Health Day. According to the tracker, tooth decay is the most common chronic disease in Australia, with three-out-of-four children and young people consuming too much sugar. It also found only 51 percent of Australian adults brush their teeth the recommended twice a day while excessive drinking and smoking also contribute to poor oral health. 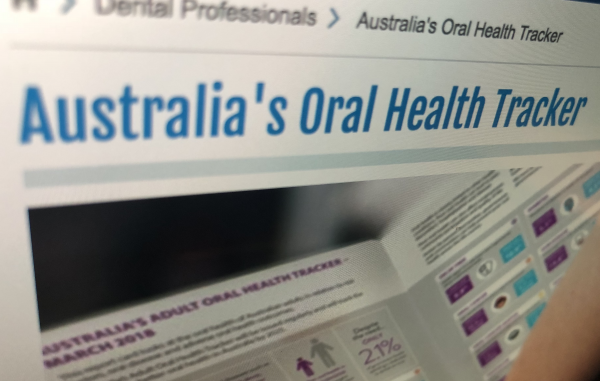 "Australia’s Oral Health Tracker highlights the remarkable cost of poor oral health to individuals and to the health budget,” said AHPC director Professor Rosemary Calder. The tracker sets a target of a 10 percent reduction in the proportion of children needing hospital care because of their dental health. The 2025 targets include lifting the proportion of adults brushing their teeth twice a day, from 51 percent to 56 percent, and reducing the number of adults with untreated tooth decay from 25.5 percent to 20.4 percent. For children, it targets a significant reduction in the consumption of sugar, as well as a reduction in the incidence of tooth decay. “The evidence shows that one-third of Australia’s five to six-year-olds have had decay in their baby teeth.” This is an unacceptably high rate and puts these children at risk of poor oral health in their development and adult years,” said Dr Hugo Sachs, ADA federal president.